If Michael Jackson was the perfect and greatest performer, the likeness of Mickey J is no less perfect. Mickey is frequently called Michael’s twin because of his striking resemblance to the gloved one. Mickey’s facial and physical likeness is so exact in certain features that, like Michael, he is literally swallowed up whenever in public by overly zealous fans. But, the uncanny likeness of Mickey to Michael becomes even more wondrous when other similarities are examined. He stands 5’9” and weighs 135lbs. It is “Mickey J” who makes his likeness real magic. His stage presence also comes natural as he performs to Michael’s songs with an agility that is astonishing, if not unbelievable. He is electric. His moves crack like a whip. He releases a barrage of energy that is first mesmerizing and then simply exhausting for the audience to follow. His gestures, style, and routines are Michael, but the talent is Mickey’s. Talent is why Mickey won ‘Evening Magazine’s Michael Jackson Look-alike contest. Ironically, he was the last of 14 guys to enter the contest, but chalked up over 74% of the votes from viewers who believed he had best epitomized the look, style, and brilliance of Michael Jackson. The host of the show even found Mickey to possess the same aura, shyness, and quiet mannerism as Michael. While Diana Ross appeared in the Philadelphia area at the ‘Valley Forge Music Fair,’ a few years ago, Mickey was able to catch the eye of the famed performer. Ms. Ross marveled at Mickey’s likeness to Michael. 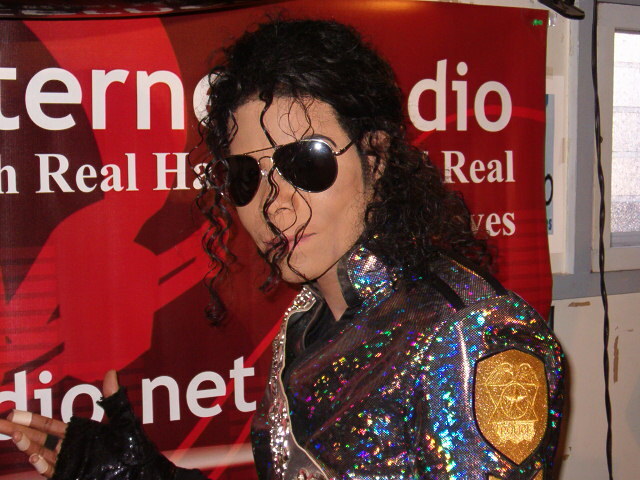 Winning the televised contest had brought enormous exposure and demand for Mickey J who says, “I’ve been compared to Michael ever since my childhood. 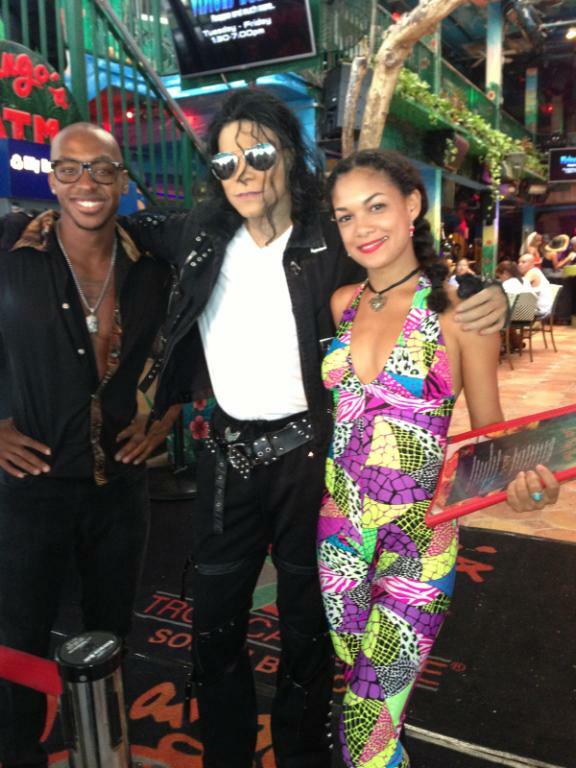 I consider myself an extension of Michael, who was the greatest entertainer ever. He makes a lot of people happy and I enjoy doing the same thing. “There are so many people who didn’t get the opportunity to see Michael, so I’m put here on earth to give them the next best thing,” says Mickey. Mickey J was giving rights to perform in New York City performing live for Michael Jackson Day USA; while Michael and his brothers performed at ‘Madison Square Garden.’ Mickey was called to appear in rapper Redman’s new video called, ‘Lookin Fly.’ He was asked to go backstage to meet NeYo while in New York City. He had the opportunity to work with two of Michael’s bodyguards, and was a guest at the ‘Ritz’ for Regina Kings TV show premiere, ‘Southland.’ He was called by Blockbusters manager as a special guest for Michael’s movie premiere, ‘This is It.’ He was also a special guest for the ‘Philadelphia Eagles’ wives. These are new endeavors Mickey has adventured in and the list goes on... He was a special guest at the outstanding ‘UniverSol Circus’ and he recently opened a show for Cuba Gooding and many others artists. He works with Mimi Brown, Patti Jackson, Doug Henderson, and Cut Master from WDAS 105.3fm radio on several of occasions. He also worked with Jerry Blavac, and Steve along with other radio announcers. He met state representative Ron Waters, and Major Nutter on several occasions, and performs at several of their events. One to mention was the performance he did for Ron Waters at Keya Graves. 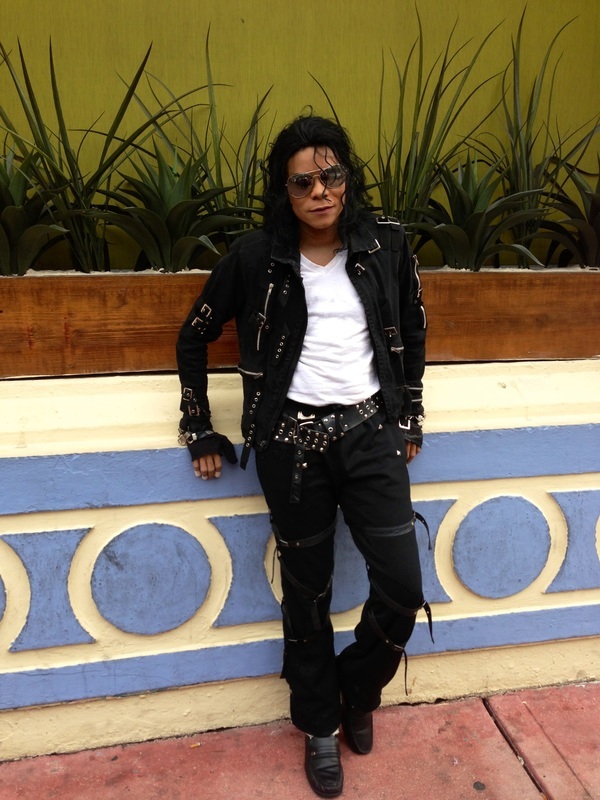 He’s back on tour traveling extensively throughout the United States on his ‘Remember the Time Show’ in dedication to the ‘King of Pop’ Michael Jackson. You won’t believe your eyes… Mickey J does all types of engagements and affairs, and events. Once you see Mickey J sing and dance to all Michael Jackson’s greatest hits, you’ll want to see him again and again.